The industry leading sonnenBatterie eco energy storage system is a residential smart energy management system with over 22,000 global installations, that integrates with rooftop solar to power homes day and night using the abundant clean energy generated by the sun. The sonnen eco stores excess solar energy during the daytime in a smart battery. Using intelligent energy management software, the eco powers household loads with the stored solar energy in the evening and during times of day when energy from the grid is more expensive. In addition to managing daily household power, the sonnen eco also provides backup power in the event of a grid outage. Ultimately, the eco enables solar homes to run almost entirely on their own “organically” generated, locally stored and self-consumed clean energy. In addition to providing value to individual clean energy homes, the sonnen eco also enables revolutionary carbon neutral “clean energy communities”. The sonnenCommunity offers an intelligent “network” of clean energy storage systems that communicate, collaborate and ultimately work together – often referred to as a Virtual Power Plant (VPP). By creating a VPP, sonnen enables a highly nimble and decentralized, decarbonized and digitalized electricity grid, representing the clean energy grid of the future. With the growing focus on net zero energy and passive houses, sonnen is setting a new standard in energy efficient communities, challenging the status-quo for powering homes by offering a way to safely and successfully integrate residential renewable energy resources, while providing a resource to the utility and overall electricity grid. 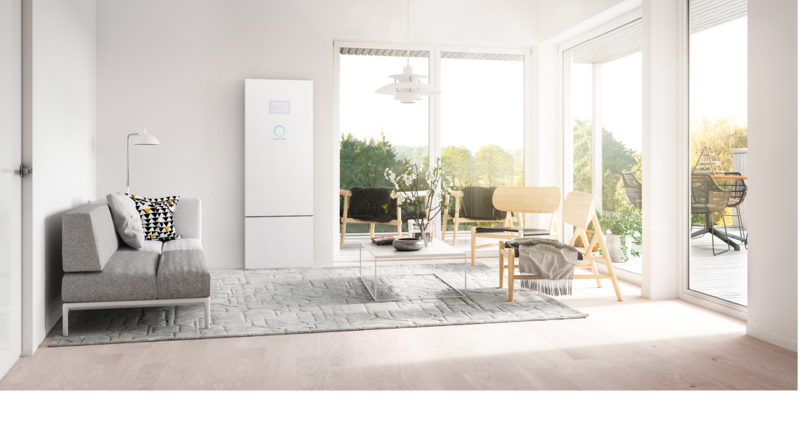 The key to energy independence and true carbon neutral living is a smart energy storage system, like the sonnen eco, that properly manages clean energy production, storage, grid usage and home energy demand in an intelligent way. By working with sonnen, builders and contractors will create the energy efficient homes and communities of the future. In addition to providing individual home energy management, the intelligent networking of sonnen systems into a sonnenCommunity enables entire communities of homes to aggregate stored energy to stabilize the utility grid. By using solar + storage to provide daily cycling of stored solar energy and power energy loads during peak demand periods, communities can reduce their utility costs by flattening the load curve of the entire community. Flattening the load curve further minimizes the carbon footprint of a clean energy community, increases self-sufficiency, and supports the overall electricity grid. Sonnen’s residential energy storage system uses the safest, longest-lasting and most reliable battery chemistry in the industry. The UL Listed batteries last 8-10 times longer than a typical EV battery, making sonnen the most popular energy storage system in the world with over 22,000 installations. The sonnen eco provides energy independence and true carbon neutral living for homeowners. In the face of increasing grid instability and power uncertainty, the sonnen eco offers peace-of-mind for homeowners by providing backup power and energy security. Additionally, the sonnen eco provides a “bullet proof” solar array, enabling homeowners to combat rising utility costs and changes in solar net-metering policies. The sonnen eco is also the first residential energy storage system to integrate directly with popular home automation systems like Control4 and Crestron. By adding smart energy storage and solar to smart homes, sonnen offers a safe, long-lasting, and reliable way to power connected home devices – including HVAC, lights, security, and other loads – with clean energy, even when the grid goes down. Homeowners with sonnenBatterie systems are also eligible to join the sonnenCommunity network of clean energy providers who deliver value to the utility and contribute to a cleaner, more reliable energy future.